Master Program in Electronics and Telecommunication Engineering Distance Education is a 2 year Diploma Program offered by Neptune Institute of Management and Technology. After completing BE or B Tech or equivalent are Eligible to get admit this Course. ME Electronics and Telecommunication engineers are Able to work in all types of modern Organizations. This Program offers all knowledge in all characteristics of technology to the candidate. This Program will help the student to tie the gap between theory and practical characteristics of technology. 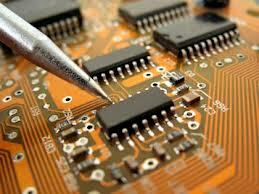 Diploma in Electronics and telecommunication engineering is one of the most Acceptable Subdivision of engineering. Now a Day everyone depends on electronics and electronics Equipment, without electronics and Telecommunication product lifecycle will be difficult. Electronics and telecommunication is a very pioneering subdivision, it can deals in electronics as well communication region. Every electronics manipulator can better understand industries and organized grouping and the real humans. In electronics upshot students can utter seminars on some realistic topics and modify oversize projects including new discipline which can provide to understand the work society of outside concern and genuine job in good salary.